If you use your mezzanine floor for storage, and especially if you need to lift items up onto the floor on a pallet, it is well worth considering having a pallet gate fitted. 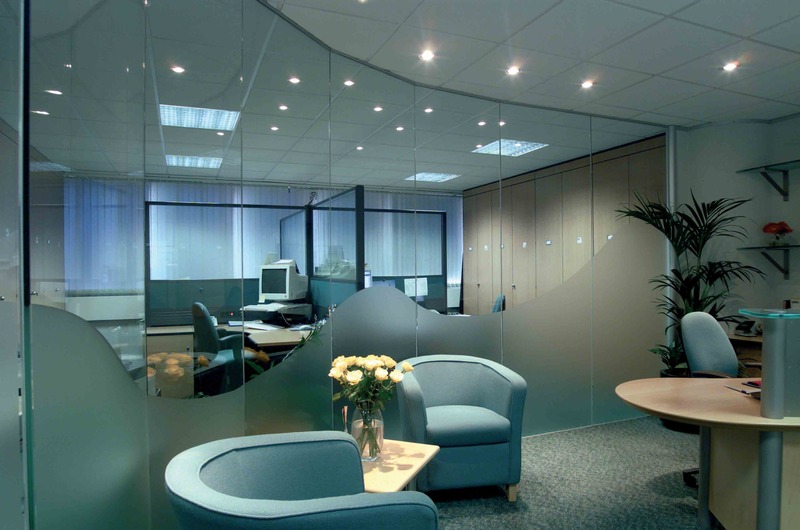 At Cubex we’ve installed lots of mezzanines in different sizes and for different uses, so when it comes to advising you on what gate might be best for you – we’d like to think we’re experts on the matter. 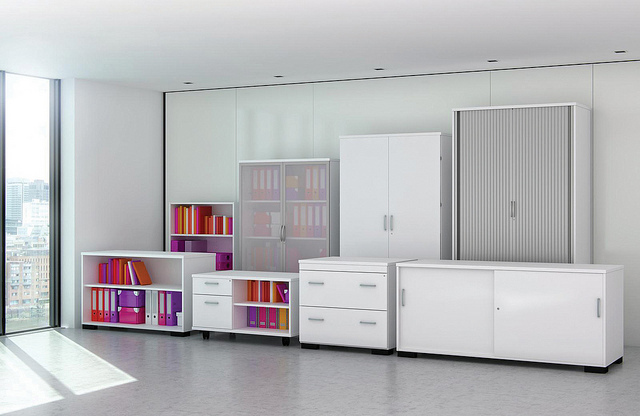 If you are considering having a storage mezzanine installed or regularly need to lift items onto your current mezzanine that are on a pallet, and are not sure what your options are – read on! These gates come in a standard size of 1500mm, or can be made to order as a special item to suit your requirements. The up and over gate is operated with a swing mechanism, that insures the operator is always safely behind a barrier as the gate is opened and closed. This type of gate offers complete edge protection at all times. For a closer look at how it operates, please see the video below. The swing gate is an alternative option, but this type of gate should only be used where the necessity to have the gate opened is infrequent. This gate operates like a conventional field gate and requires a clearance space for the gate to be opened properly. For a closer look at how a swing gate works, please see the photograph below. 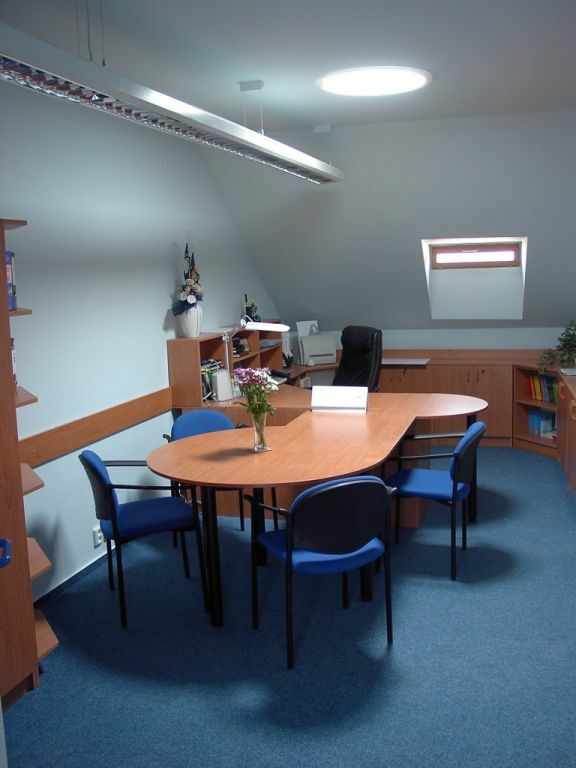 In the photograph above you can also see protective plate flooring. Many customers prefer to have a steel chequer plate fitted to protect the deck on the area inside the gate where pallets will be received, which is advised and can be installed retrospectively if necessary. 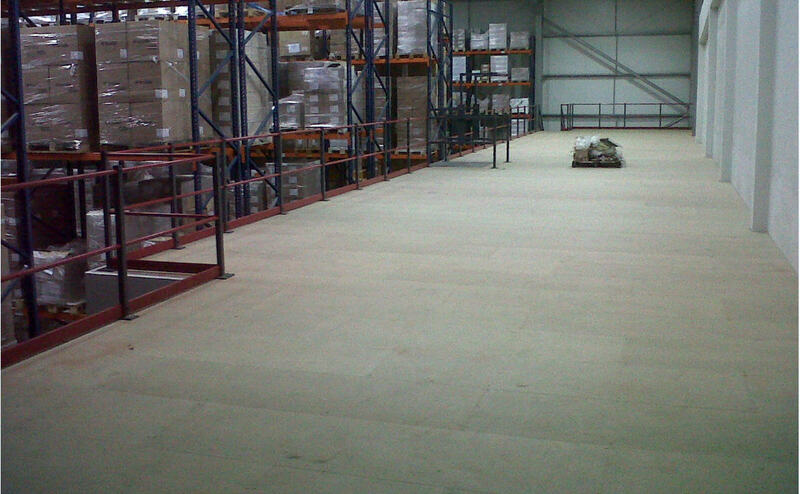 This type of flooring can be finished in any colour (usually something with high visibility) and works with any of the three pallet gates mentioned. The telescopic sliding gate is another possible choice when considering which type of gate is best for you. We would suggest that like the swing gate, this type of gate is best used when the need to have the gate open is minimal. The gate simply slides back to reveal the opening and is ideal where space is at a premium. For a closer look at a telescopic sliding gate, please see the photograph below. Which type of gate is our preferred option? The up and over gate is our preferred option, being the most safe in terms of usage. 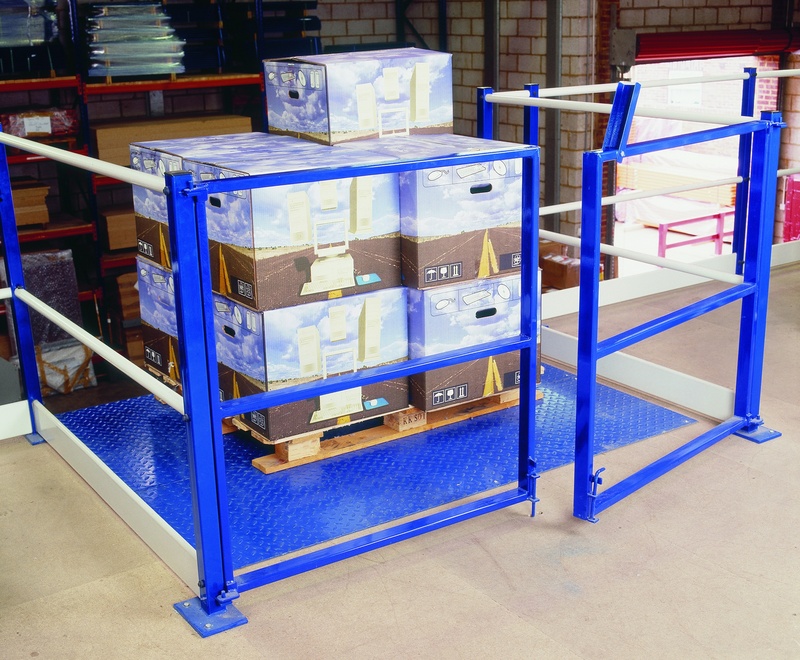 Because a mezzanine is a raised platform there is always danger that when a pallet gate is opened the gate operator could inadvertently step off the mezzanine or leave the gate open and unattended, resulting in someone else potentially falling. The up and over gate offers complete edge protection making it both a highly functional and safe choice. As a safety precaution users of any pallet gate should have an appropriate risk assessment and safe system of working before attempting to operate it, and this is especially the case for both the swing gate and telescopic sliding gate. What do our Health and Safety experts say? We agree with Cubex Contracts preference of the up and over gate and wholeheartedly endorse this type of gate due to its consistency as a collective fall prevention measure – a legal obligation under the Working at Height Regulations 2005 (as amended). 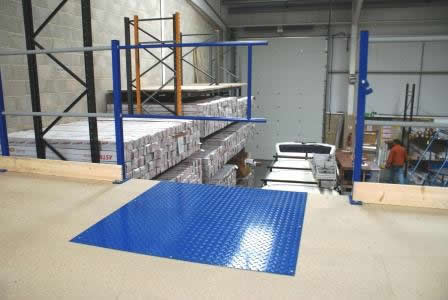 Building in this level of protection also means that the “customer” as an end user will not have the onerous task of completing specific risk assessments around the use of the pallet gate (also required by the WHR 2005) because the fall prevention is already in place to cover all circumstances. With health and safety in mind we do not feel the swing or sliding gate meet the same standard, because despite the presence of a risk assessment and safe system of work, the potential for falls remains. So, there you have it – in our “expert” opinion, and backed up by our Health and Safety consultants Sphere Risk Health and Safety Management Limited, we highly recommend the up and over gate as the best choice for your storage mezzanine. If you’d like to discuss pallet gates in more detail, or need a mezzanine for storage, offices, or large scale industrial use give us a call on 01933 460422. 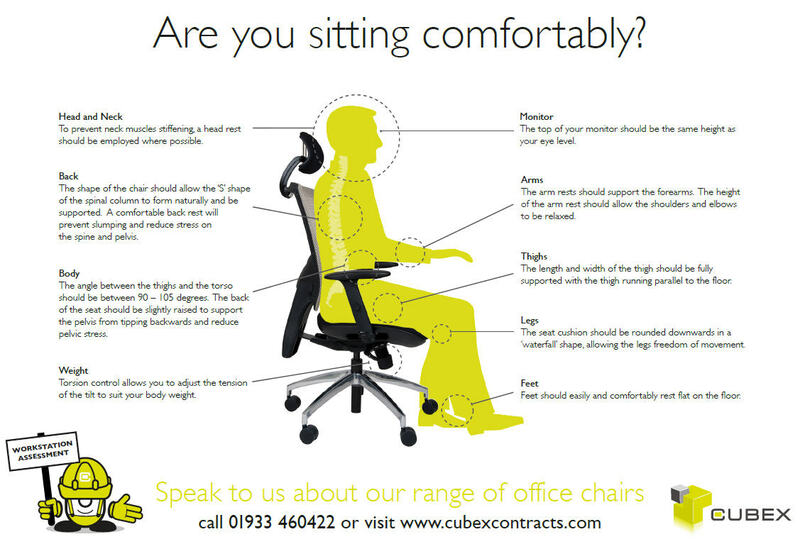 Cubex Contracts – we make space for your business to grow!